Mike Sexton was on the button and had a bet out in front of him on a [Qs][Kd][6h] flop. His opponent made the call, and checked again when the [2h] hit the turn. 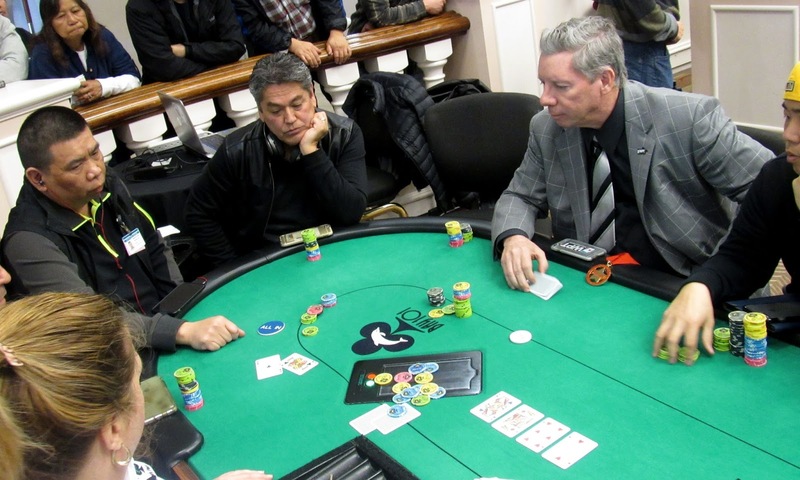 Mike bet 6,000, prompting his opponent to go into the tank about his decision. He eventually elected to move all in, prompting Mike to talk the hand out loud. Eventually, Mike made the call, and his opponent showed him [Ac][Kc]. Mike was relieveed to see that as he flipped over his own [Ah][Kh], except Mike had a freeroll to win the whole pot. The [Tc] hit the river, however, and the two players would chop the pot.